When consumers shop more, it inevitably leads to more work in warehouses and distribution centers across the country. For many of these companies, the end of the year is their peak season. 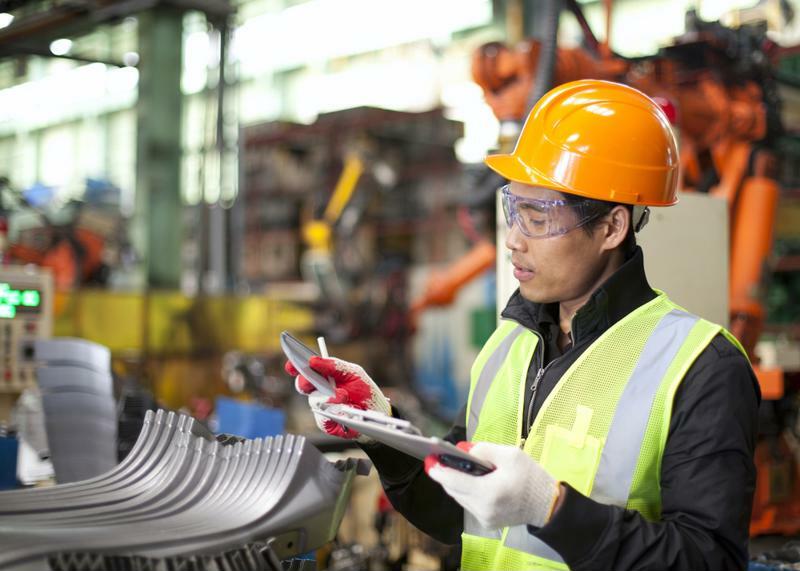 During these days of high demand, one equipment breakdown can significantly impact productivity and increase costs as well as unplanned downtime. Smart proactive maintenance principles can prevent equipment failure and unplanned downtime during your busiest weeks. The best way to prevent breakdowns is to act on warning signs early. Develop your proactive maintenance strategy well in advance of your peak season so you can identify emerging problems more capably. That way, you have the time to remedy any issues as your operation's workload begins to pick up. If your peak season is coming up quickly, it may be difficult to implement a proactive maintenance plan before demand increases. Use our other tips to keep your operation running smoothly this year, then strategize a proactive maintenance plan for the next time around. Some of your equipment will be more prone to failure than others. Identify those assets and monitor them closely before and throughout your peak season. When you see the early signs of a breakdown, set aside a time to inspect the item and fix the problem. During peak season, focus your efforts on equipment that's mission critical, particularly if those items are used more often during this time of year. Create a ranking system to prioritize maintenance tasks that are the most pressing. Having a dedicated technician on staff can help keep production flowing smoothly during high-demand days. During the busiest days of the year, you'll need all hands on deck. To make sure all equipment needs are taken care of, consider assigning one technician to all things proactive maintenance. This person will handle inspections and repairs ahead of the busiest days. They should also be prepared to tackle reactive maintenance needs if they arise during high-demand days. If you only have one employee in a technician role at your location, it may be difficult for that person to focus solely on proactive maintenance needs. For smaller fleets in this situation, or for those that don't have a technician on staff at all, hiring a temporary worker could be a good solution. Bring this person on board in advance of peak season so he or she can become well acquainted with your operations, processes and equipment. This way, when time-sensitive maintenance orders come in, your dedicated technician will be able to jump into action quickly. If you have one or two technicians on your team, consider scheduling overtime so you can be sure you'll have the right experts prepared to handle any issues as they come up. Even though you'll be able to avoid downtime through proactive maintenance and having the right technicians available, any problems that emerge will still take time to fix. When productivity is a top priority, it may be best to have a back-up plan to keep your operation moving in the event of an unexpected breakdown. Equipment rentals can come in handy in this respect. Having extra material handling equipment at the ready can support consistent productivity at a time when every minute of uptime is incredibly valuable. Your peak season may be the most important time of year for your company. As such, it's critical that you're prepared to keep up with high demand. Luckily, you can anticipate unfortunate events like equipment failures by conducting proactive maintenance and having a plan for when something goes wrong. Reach out to National Maintenance Services for support in getting ready for your peak season. Whether you need a technician on your site or help procuring new equipment to buy or rent, we can help.